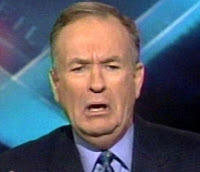 A while back Bruce Andrews went on Bill O'Reilly's conservative TV talk/news show and went toe to toe with Bill. Mike Hennessey links the YouTube recording of the encounter and has a few good words to say about it. After viewing this again I went to my bookshelf to pull down some Andrews and re-read, and I listened to several of his more overtly political poems on his deep PennSound author page. One of my favorites there is "You Made This World, We Didn't", which is the final section (of 100 sections) of I Don't Have Any Paper So Shut Up (or, Social Romanticism), a book published by Sun & Moon in 1992. Listen to this marvelous poem (Andrews reads well) and imagine how Bill O'Reilly would have — could have — responded had he asked Bruce to read a poem on the air and Bruce had read this. There's a politics in which one person tries to force another to speak the common already-corrupted language, a point at which we still believe the common language hasn't entirely broken down, although one has to deal with evasions and dodges on both sides; and then there's the politics of a Bruce Andrews poem, in which it becomes clear that the poet bespeaks the breakdown, which has already occurred before the poem began, and in which that breakdown is a sign of confidence and health, and an openness to other possibilities. Bruce is willing to talk in both worlds, thank goodness, so I am intrigued to hear him in both at once. What are the differences? Yes, but what are the similarities?